Your online business is not in the list? There is no reason to get discouraged. 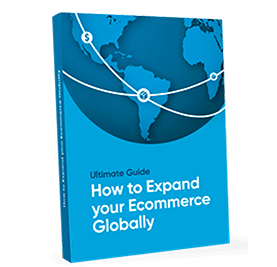 The ecommerce industry expands rapidly and has still a huge potential to be unlocked, leaving space for you to grab a piece of the market share. What really matters at this point are the aspirations and the plans you have for the future, so you can start plotting an assertive business strategy. For that reason, follow ecommerce success stories and keep an eye on what successful companies are doing to apply the same tactics according to the characteristics of your market can be a interesting idea. All these successful online business have characteristics in common, but they all start with one: careful planning. As each day the online sphere gets more challenging, only having a good-looking and functional website is certainly not enough, and spending more in online ads will not simply change this fact. So first of all, a quick test. If the answers for were a yes for both, and you are pretty confident about expanding, now take a look at the logistics to see if you are able to handle the growth, providing and delivering products or services in time. Nice! It seems to be the right time to think about the online strategies you should execute next. Before starting to post on social media or to launch a discount campaign, be sure you are tracking all the traffic data from your website and its social networks. There are some free tools such as Google Analytics that can help you with that, but it would be interesting to also have a specialist by your side. Get prepared to offer a flawless service and base all your activities on a customer-centric view. This is essential for ecommerces business, considering the lack of the eye-to-eye connection with your public during the purchasing process. Change and add some processes if needed. To compete with Amazon, even Walmart had to implement significant changes in its exommerce operations, for instance, including regular and direct reports from Customer Care and Customer Experience to the ecommerce CEO of the company, to make you understand the importance of this topic. Do your best to provide a brilliant customer support from the beginning and be aware that the exigences in this department are getting higher everyday. In order to go keep up with that, find out which are the main channels that people use to search information about your product and to communicate with your brand, and be available to give all the information needed, in the language they speak. You might need to offer a multilingual channel, depending on the market you are trying to reach. However, I am also talking about the “voice” your brand will have online. In other words, how it should express itself online, through posts and messages, with a consumer that is craving for this kind of identification. Is your brand a more serious type of guy? A cool teenager? To use the right voice shows your company is made of real people and that definitely builds a stronger bond. Then take full advantage of these technologies. Thanks to the development of internet, small companies, manufacturers and individual artists can now show your work globally and arrive at millions of people. The internet offers infinite possibilities to work with your brand, with tools that allow you to aim at different targets simultaneously or catch an individual buyer and drive him into an one-to-one shopping experience. You can start by offering the most pertinent selection of products according to their profile and suggest them to do a wishlist for Christmas. You can promote custom products according to some of the public characteristics (regions, hobbies, birthday, for example) or create a beautiful conceptual webpage to make your audience shiver. The possibilities are endless. Additionally, you can consider diversify your shopping channels to be available in different “supermarkets shelves” online such as Amazon, Ebay and Facebook, implementing a cloud-based technology to control your supply chain. This increases the possibilities of being found and allow the customers to buy in a platform they have more confidence with. It helps even more if you add extra methods of payment along with it. Make your purchase road as smooth as possible and prevent the obstacles that can cause a last minute quitting. Investing in organic and paid search is also a wise move for those who want to be found by the online users. It is simple to understand: in order to sell online, your website have to show up at some point of the consumer search, and a well elaborated SEO (Search Engine Optimization) project is what guarantees that. It is not a coincidence that Amazon, Apple and Wal Mart are also the first companies when we talk about organic and paid traffic. In general, the social networking space is where people spend most part of the time when they are connected, and this is a fact you cannot ignore. So go ahead and create attractive business pages on Facebook, Instagram, Twitter, Google Plus. Later, analyse which one would work better for your brand and then invest time and money on the one that gives you more return, without leaving the others unattended. Another advantage of Social Media is that a simple post on Facebook can turn into a free abundant source of opinions and insights. That will help you to measure the interest of the public and can give a fast feedback about a particular subject you are still not sure about the impacts. Posting links from your website on social media can also affect your page traffic, so try to make them highly likeable and shareable, through attractive descriptions and beautiful images. Even though it is one of the most telling and disseminate method to attract customers and increase the sales, deals and discount strategies have to be carefully studied and developed before introduced, to avoid losses, regrets, or any damage in your reputation. You do not want to give discounts unsystematically and being known for that, thus it is important to have a clear object and give a reason why you are giving the discount like the launch of new products, a first time trial or a new customer in the website. Moreover, try to aggregate discount campaigns with loyalty actions, such as offering price reduction for the next purchase, email subscription, leaving a review and sharing on social media. A responsive, friendly interface than can be accessed from mobiles and tablets is a pattern among the top ranked companies. As we know, people do a lot of product and service research out of the computer screen and expect to find good and clear information from any device they are using at that moment. Mobile platforms also permits to offer geolocation, delivery status, real-time notifications and services that can become a big differential in this competitive field. Besides all that, to publish relevant content without necessarily push a product or service is another appealing initiative for online businesses. For example, uploading tutorial videos explaining how to use a product, creating a magazine or blogging about a new trend on the field. This way, more than only brand awareness, you will communicate how deeply you know about the subject and can become a reference. You will gain the trust of your consumers and you will surely promote a different, nicer experience of advertising, much less aggressive. Apple just recently uploaded a serie of Carpool Karaoke videos with famous singers and actors, generating buzz, millions of viewers and “casually” promoting the Apple Music streaming service without overwhelming the public with slogans and imperative tones. Another simple way to generate useful content and increase your credibility is through your own client’s opinions (the positive ones, of course). 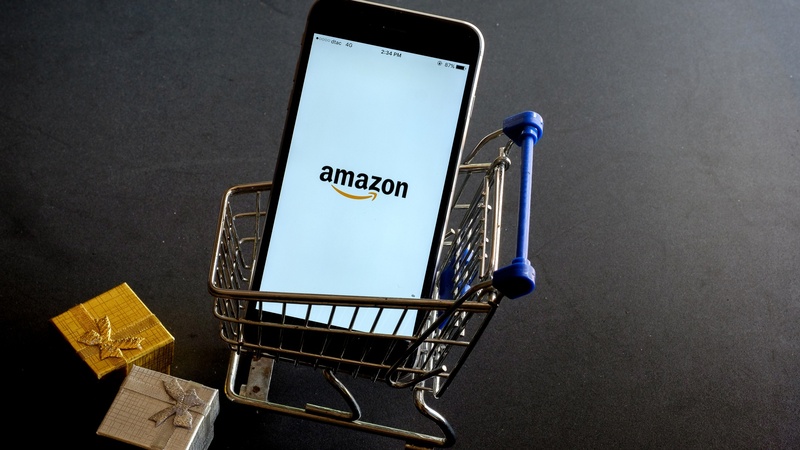 Amazon highly encourages its customers to leave reviews, as it has become a regular practical step most part of people takes before buying anything online. After all, is there a best way to advertise your brand than a complimentary comment of a satisfied customer?